Performing kirtana and hearing the vibration of the sound Hare Krishna is actually seeing the Supreme Personality of Godhead directly. When a Vedic mantra is chanted within the mouth so that only the chanter can hear, the chanting is called japa. 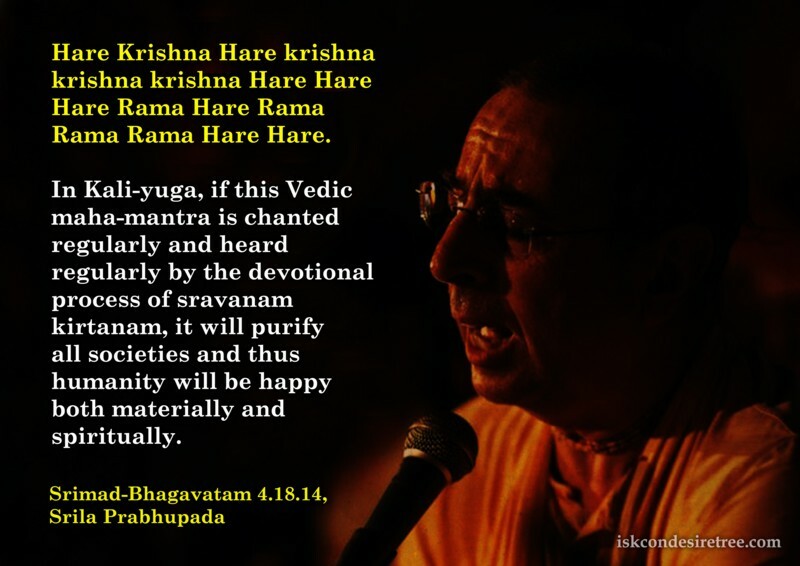 But when such mantras are chanted loudly, it is called kirtana. Devotional service is called kirtana-yajna, and by practicing the sankirtana-yajna, one is very easily elevated to the planet where the Supreme Lord resides.